1850 sqft. 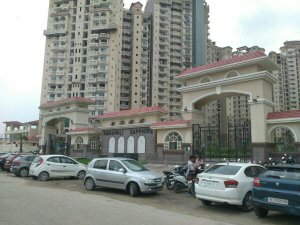 apartment flat for sale at Amrapali Sapphire Phase II Sector 45 Noida. The apartment is a Semi furnished property with Chimney Modular Kitchen Wardrobes.The property is Ready to Move.The building has a total of 22 floors and the apartment is on the Fourth Floor.The apartment is available for sale at Rs 1.05 Crore.This apartment also has 2 balconies Study room. Nearest Landmark Mahamaya Girls Inter College 3Kms from Sector 18 Metro Station.